High Iron To Fairbanks, written by Evan McKinney, highlights the Alaska Railroad's construction. It is a historically accurate novel told through the eyes of a fictionalized main character. There have been a handful of books published over the years featuring the railroad's history from Stan Cohen's, "Rails Across The Tundra: A Historical Album Of The Alaska Railroad" to William Henry Wilson's, "Railroad In The Clouds: The Alaska Railroad In The Age Of Steam, 1914-1945." McKinney's novel brings a bit of interest and humor to the subject. The idea of building a railroad in the harsh Alaska climate is plenty difficult in its own right but doing so as a government-sponsored project only magnified the burden. Anytime bureaucrats in Washington are involved it is a near miracle that anything gets done. This was no different for the Alaska Railroad which fought funding shortfalls and federal meddling during the nearly decade-long project. It all began with surveys in 1912 under President William Howard Taft's administration and deemed complete when President Warren Harding drove a golden spike on July 15, 1923. High Iron To Fairbanks focuses on the character who goes simply by "Mac." He was involved with the Klondike Gold Rush and later found work with the moribund Tanana Valley Railroad before being laid off. This narrow-gauge system connected Fairbanks with Chatanika for purposes of serving the Gold Rush. It was not successful and failed after Mac's firing (the property was later incorporated into the Alaska Railroad). By happenstance and while unemployed he helps a group of government officials during the summer of 1914 that are surveying routes for the U.S.-backed standard-gauge railroad to serve the new Territory of Alaska (owned by the United States since 1867 it was granted the status of "Territory" in 1912). From this single event Mac's life is forever changed as he goes on to meet a group of friends, all of whom are eventually tied to the project in some way. His closest buddies are Jake and "Toot." While on the job the trio form a small side-business; a quaint bunkhouse, built from scratch, for construction workers. This enterprise eventually leads to a better, and permanent, structure in the new town of Anchorage. In short order the group meets even more friends including immigrants Hans (German), Paddy (Irish), Kosta (Greek), Oleg (Russian), and Sven (Norwegian). As the story presses on Mac becomes an assistant to Lieutenant Frederick Mears, commissioner and chief engineer of the entire project. Mears, who eventually earns the rank of colonel, is responsible for overseeing construction of the Alaska Railroad as part of the Alaska Engineering Commission. After his stint in World War I, during which time he oversaw railroad projects in Europe, Mears returns to Alaska. However, before the railroad's completion he is fired (he finds work on other assignments, including Great Northern's Cascade Tunnel). Sometimes a forgotten carrier because of its location the Alaska Railroad today is a Class II system operating nearly 400 miles. It is essentially a single-tracked corridor stretching from Seward in the south to Fairbanks in the north. Since first opening it has done much to bring prosperity to a region and state that has always lacked adequate infrastructure. 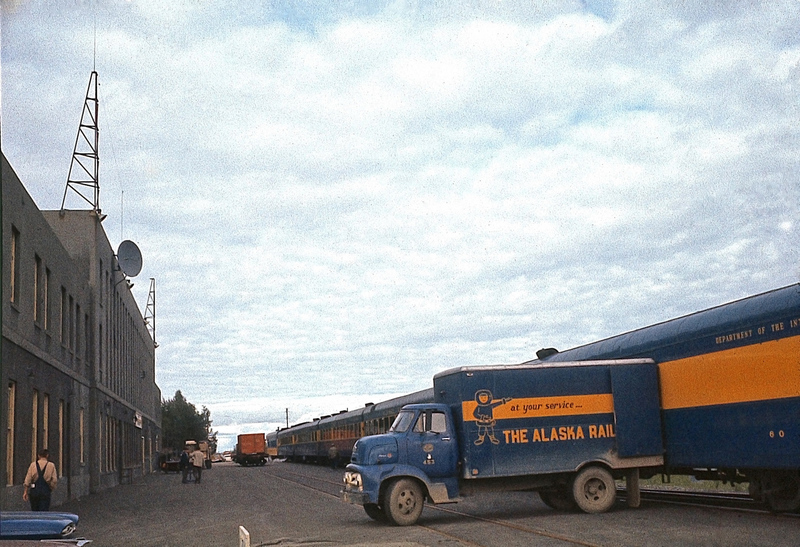 Today the ARR is owned by Alaska and rare as a private railroad in that it continues to host regular passenger service. With locomotives adorned in a beautiful dark blue and yellow livery the trains remain quite popular as both a tourist attraction and providing a real service for residents needing to reach the state's interior. Alaska's rail heritage long predates the ARR; it all began in 1898 when the White Pass & Yukon Route Railroad completed its 111-mile route between Skagway and Whitehorse, Yukon Territory. 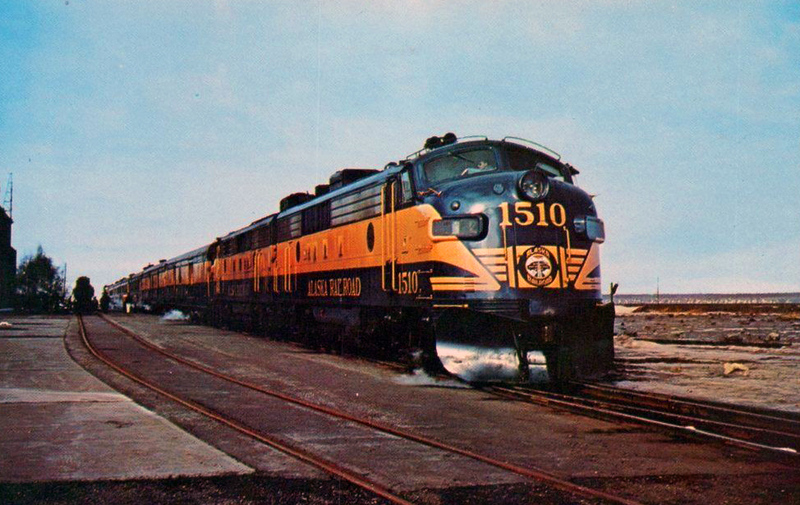 Not long after its opening, the Alaska Central Railroad opened 51 miles from Seward, along the southern tip of the Kenai Peninsula, to the north. However, by 1909 it had entered receivership.. This was essentially the beginning of today's widely recognized Alaska Railroad. While the ACRR held only a single waterway connection at Seward it still provided a vital transpiration need within a region where even reliable horse trails were scarce. Following its bankruptcy the system was reorganized as the Alaska Northern Railway and then extended an additional 20 miles to Kern Creek in 1910. 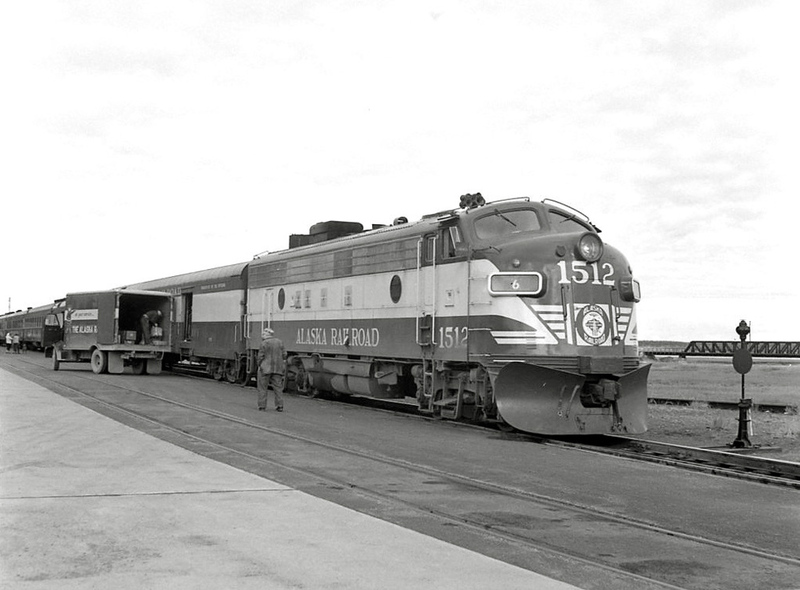 The Alaska Railroad's heritage began in 1914 when Congress purchased the Alaska Northern and authorized funding to complete a line from Seward to Fairbanks, realizing private backing would not bother finishing such a railroad due to its high construction costs and low projected returns. With the government takeover and capital in place the second step was to purchase another foundering system, the 45-mile narrow-gauge Tanana Valley Railroad near Fairbanks. From that point, the task of linking Anchorage and Fairbanks began. The project faced numerous setbacks from bridge and right-of-way washouts to funding shortfalls brought about through indecision (and arguing) in Washington. Despite the many issues crews were finally able to link the two cities within nine years with an official ceremony held on July 15, 1923. High Iron To Fairbanks provides a wonderful historical narrative of the Alaska Railroad's arduous construction and details the problems it faced both against Mother Nature and Uncle Sam. While the author may have interweaved fiction and reality the truth is the actual workers dealt with the very same problems of Mr. McKinney's characters. Specifically, until, and even after, Anchorage was founded, workers had to live in temporary living conditions while learning to survive within Alaska's unforgiving climate. And they were forced to do so while building a railroad! In today's highly modern society with creature-comforts galore it is truly hard for many of us to imagine what it must have been like for those employed on this project even with the relatively-modern equipment they utilized. The character of Jake, for instance, works out in the field clearing brush, trees, and debris for the new right-of-way. If you are interested in the history of the Alaska Railroad consider either picking up a copy Mr. McKinney's title. To purchase a copy please click here. The ARR became state owned when President Ronald Reagan, in 1983, signed legislation transferring ownership to Alaska, made official on January 5th, 1985. The state spent $22.3 million to purchase the property although the final price tag was nearly $100 million due to needed right-of-way and infrastructure improvements following many years of deferred maintenance. In all, the Alaska's system runs roughly due north winding its way from Seward in the south to Eielson in the north, via Anchorage (the northern terminus now serves Eielson Air Force Base). You will be hard-pressed to find a more beautiful setting for a railroad, which continues to draw hundreds of thousands annually. Currently the Alaska Railroad’s roster consists entirely of Electro-Motive diesel locomotives, ranging from two F40PHs to more than two-dozen newer SD70MAC's. To learn more about the Alaska Railroad please click here to visit their official website.